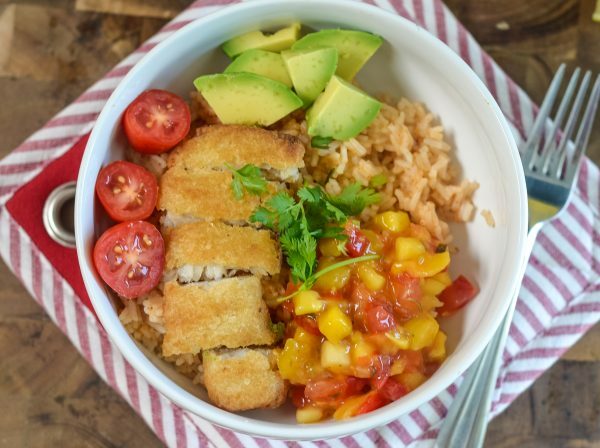 Make dinner in a snap with these 30 Minute Fish Taco Bowls! This post is sponsored by Gorton’s Seafood, all thoughts and opinions are my own. Are you barely hanging on as we get back to school? We are about 3 weeks into the back to school routine and I still feel like I’m trying to keep up. I have found dinner is becoming a struggle after a rather easy summer when it came down to getting dinner on the table. One issue is that we need quick meals that I can easily put together in 30 minutes or less because if not, we will be eating at bedtime. Anyone else have that struggle? Thankfully, we keep Gorton’s Seafood in stock in the freezer. Gorton’s Crispy Battered Fish Fillets literally take about 25 minutes to make, many times I put them in the Air Fryer too. 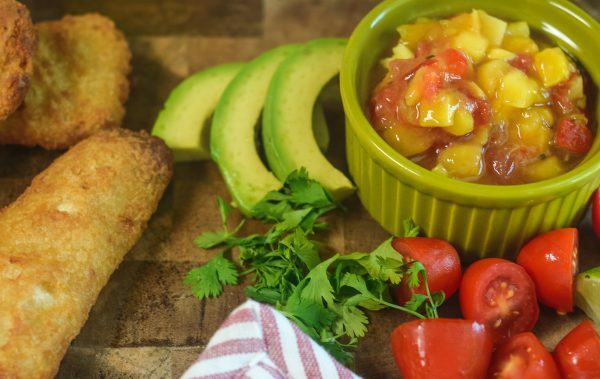 I truly love to mix frozen foods with fresh foods, life is all about balance, right? It allows me to use something easy and mix it with some items we can get straight from our garden. We are just about to clear out the garden for the year. We learned a lot this year and have found that where we live now, it’s super hard to keep squash bugs out of the garden and hornworms. Where on earth do they all come from? Next year, we will be trying some new techniques and hopefully that will help! Did you have success with your garden? 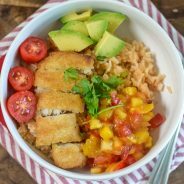 If so these 30 Minute Fish Taco Bowls are the perfect place to use up some of that garden fresh produce. 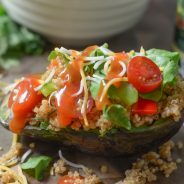 Can you make 30 Minute Fish Taco Bowls in the Air Fryer? Yes, I even use the Air Fryer to cook my fish fillets. 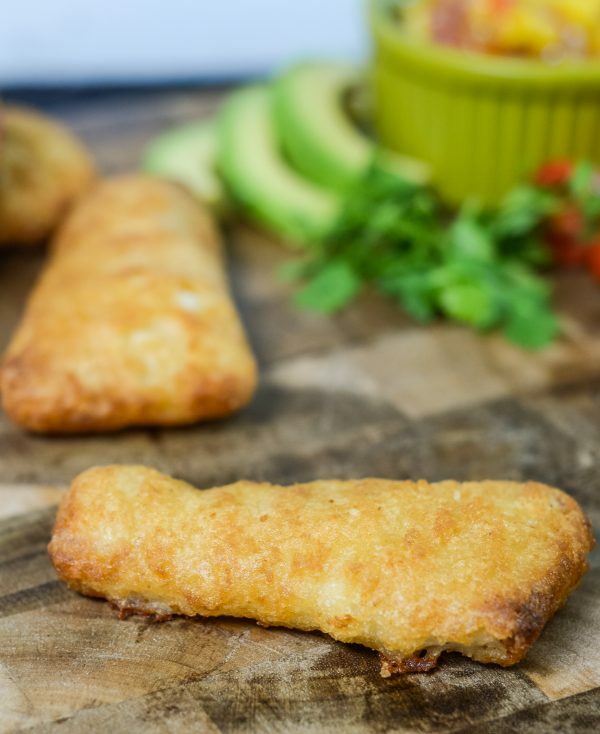 If you use the air fryer, they are done in about 8 minutes. 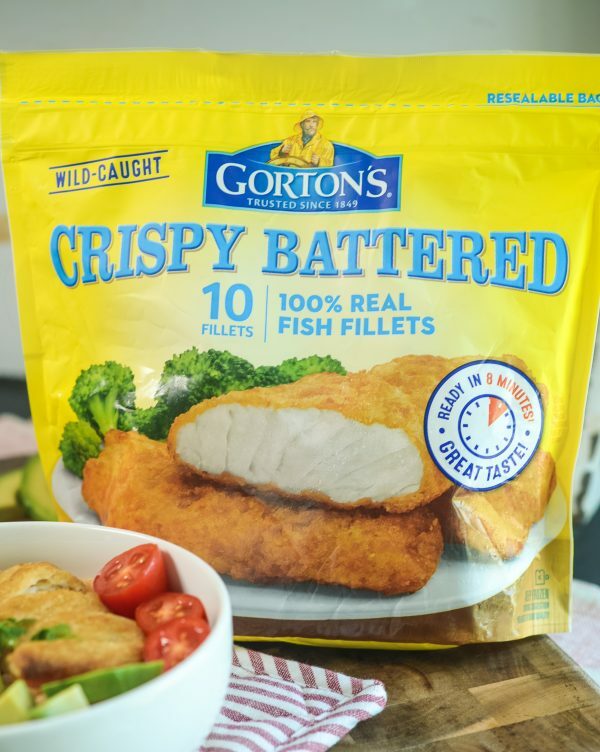 Gorton’s Seafood Crispy Battered Fish Fillets are dipped in a fresh mixed batter that gives them the gold-crisped, crunchy flavor. 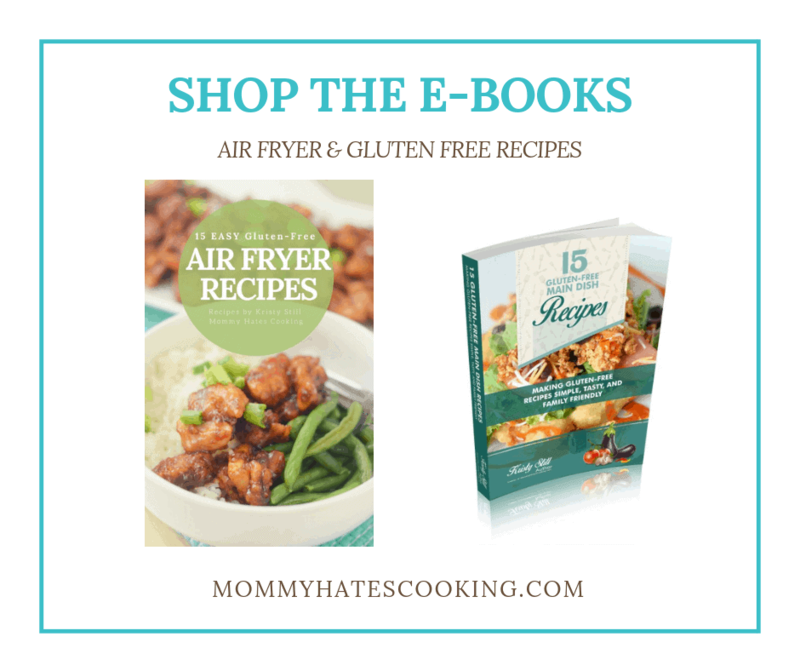 Remember that all air fryers cook just a bit different. 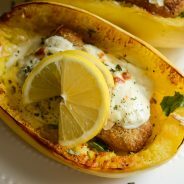 I keep ours on 390* for 8 minutes to cook these fish fillets. They come out nicely browned and crispy. 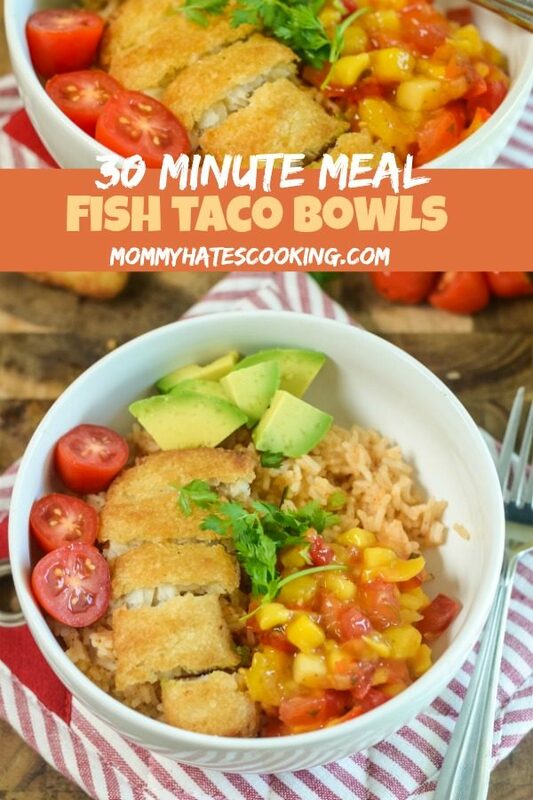 What do you need for 30 Minute Fish Taco Bowls? While the fish is cooking, cook the rice. 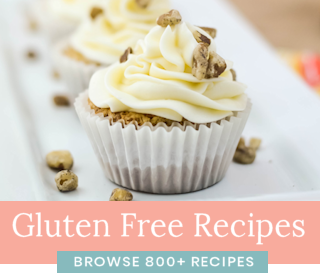 Prepare all the toppings while the fish is in the oven or the air fryer. 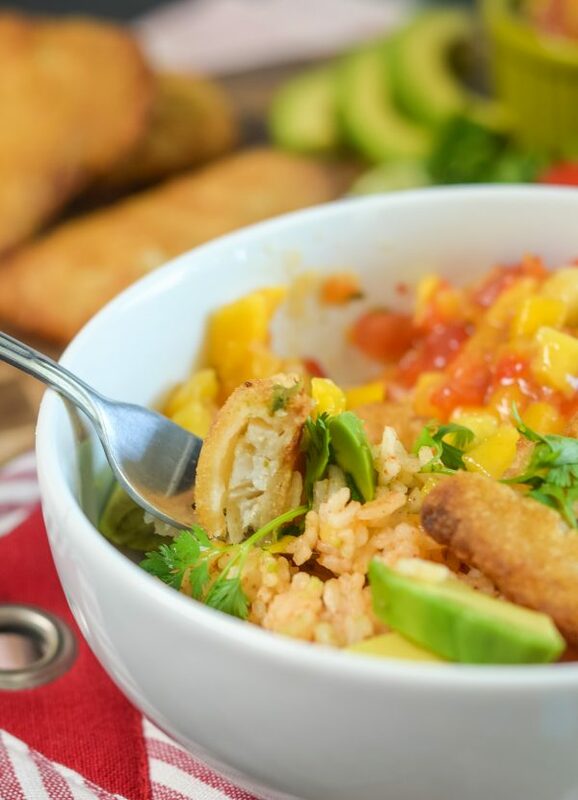 Place all the toppings out for the whole family to build their own Fish Taco Bowl. Now, as the kids come in from school, it’s simple to get dinner on the table in mere minutes with Gorton’s Seafood. We actually keep a variety of it in our freezer for those nights that dinner is going to need to be made in a rush. I have also found over the years that if my kids have choices on how to build their own dinner, it makes dinner time go so much more smooth. 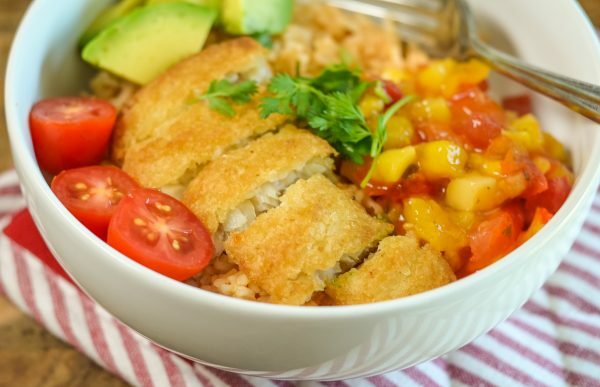 They love that they can take part and choose the toppings to put in their fish taco bowl, and this mom loves that dinner isn’t an argument. Do you have nights where dinner is an argument? Surely I’m not alone in that. 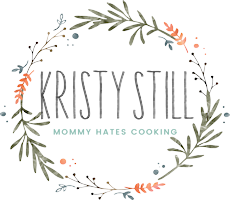 Now though our son has really branched out and started to try new things, meanwhile, our daughter is still fairly picky with what she will eat. The struggle is now trying to find something that the whole family will eat and isn’t just a favorite of one person and not the other. 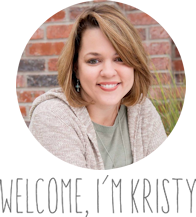 I really do not remember being as picky as my kids are, but maybe I was! Or maybe I still am? That could be it too. Ha! 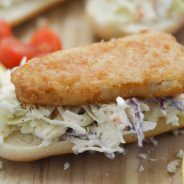 The flaky fish mixed in with delicious fresh ingredients truly makes this dinner a win in our family. Are you ready for a bite? 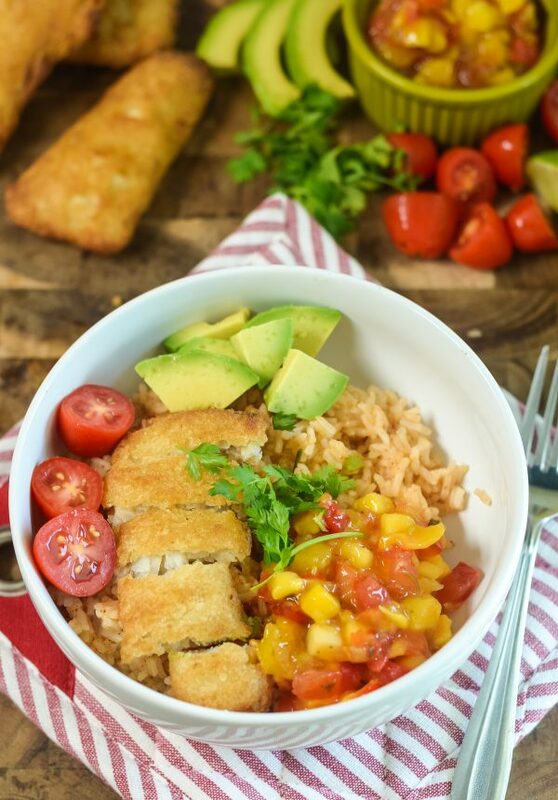 It’s time to make these 30 Minute Fish Taco Bowls! Find out even more by heading over to Gorton’s Seafood. Prepare the fish as instructed on the package. If using an air fryer, cook for 8 minutes at 390*. 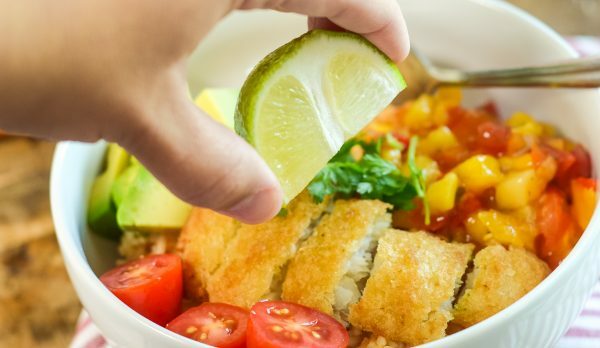 While the fish is cooking, prepare the rice as indicated on the packaged if not cooked yet. If it is cooked, warm it up. Mix in the taco seasoning into the rice. Pour the rice into the bowl. Top with the fish fillet and toppings of choice. 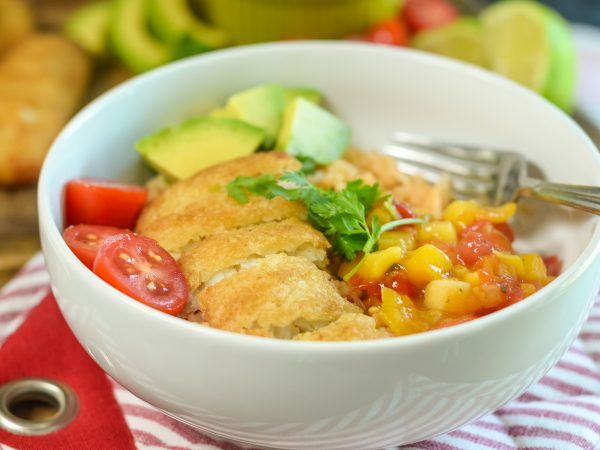 Only 30 minutes you have completed a very attractive Fish Taco Bowls. So good and wonderful flavors…felt like I WAS eating at my favorite Mexican restaraunt in kentucky!! !